This is the third part of a three-part series on how retailers can compete better with Amazon. This article looks at what recent product and service launches from Amazon say about its future priorities. Part One focuses on four companies that have implemented winning strategies. Part Two takes a look at Alibaba and how its tech. investments provide insight into what the future of retail will look like. You can read Part One here and Part Two here. True to form Amazon can’t stop inventing and reinventing itself. Many of its recent product and service tests and launches reveal that it is fixated on making shopping as convenient as possible. Amazon is also focusing on improving customer service in ways that are challenging competitors like Best Buy. Here are five moves that Amazon has made that you should keep your eye on. Amazon continues to expand its investment in bricks and mortar stores with its September 2018 opening of a new store concept called Amazon 4-Star. The store only sells the best of what Amazon.com has to offer. Instead of a typical store where you find a mix of good, better and best products as well as some undesirable ones this store gives customers exactly what they are looking for. The store only sells products that have at least a 4-star rating on Amazon.com including Amazon Echo devices, games, books, kitchen and home products. The store also features well-conceived sections such as: Most Wished For, Frequently Bought Together, Amazon Exclusives and Trending Around NYC (in Amazon’s Soho store). The Trending Around NYC section is a reflection of Amazon.com items that are selling well in NYC and now customers have the option of picking them up in person. Products have digital price tags that display the product’s full price as well as its price on Amazon.com. Since prices on Amazon.com change frequently the price in-store is updated to reflect that. Price tags also display how much Amazon Prime members save and the product’s ratings. Amazon recently opened another 4-star store in California and one in Colorado. Amazon is also planning to open more cashier-less Amazon Go stores as well as Amazon bookstores. In October of 2017 Amazon launched an in-home delivery service which is now called Key by Amazon. On the day of a customer delivery the customer receives a message asking them if they want to accept the delivery and watch as it takes place. Customers must have a Prime membership and an Amazon Key Home Kit which consists of a security camera, a smart door lock and the Amazon Key App which customers use to unlock their door from anywhere. According to Amazon this is not an experiment, it will be part of the shopping experience going forward. Last year, Amazon expanded Key by Amazon to include the option of having purchases dropped off in the trunk of a customer’s car. At the beginning of this year Amazon announced Amazon Key for Garage. This new service allows customer deliveries to be placed in the customer’s garage when they are not home. Key for Business is another new service where delivery drivers are given the key fob for a building so they can gain access to buildings to drop off packages. Amazon is now providing an in-home service to customers who need help setting up a smart home. As part of a service that was launched in early 2017 called Alexa Smart Home Consultations Amazon offers free in-home consultations where Amazon experts answer all smart home customer questions, demo Alexa devices and provide an assessment of which smart home products are the best fit for the customer. Customers can also get smart home products installed by Amazon for a fee. Amazon recently expanded Amazon Key to include the option of having purchases dropped off in the trunk of a customer’s car. These services are expected to challenge those provided by Best Buy’s Geek Squad which played a critical role in Best Buy’s turnaround. 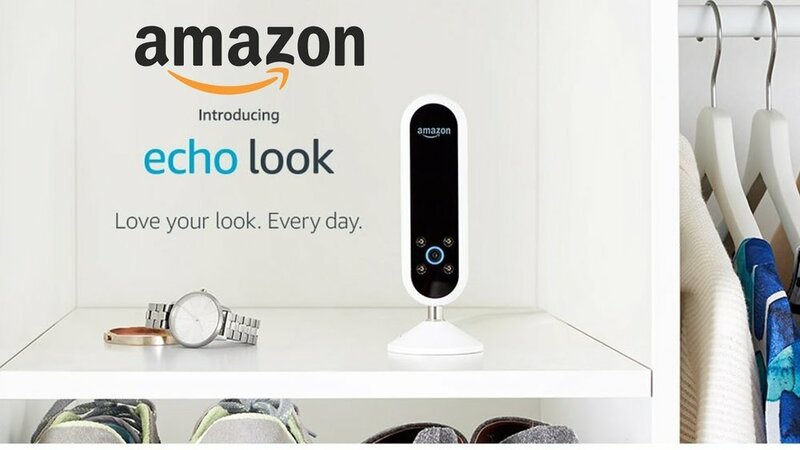 Amazon launched the echo look in April 2017 “to help you look your best”. It is a handsfree camera and style assistant. Using the hands-free voice commands the echo look takes a photo of a customer’s outfit or takes a 360 degree view in a video clip. The key feature is Style Check which can analyze two different outfits and provide the customer with an opinion on which outfit looks best. It provides insight into fit, styling and current trends. It does this using machine learning algorithms. It also provides recommendations for complimentary items which can of course be purchased at Amazon. It looks like Amazon is trying to automate your best friend. Amazon launched Prime Wardrobe, a “try before you buy” service for clothing, accessories and shoes in June of 2017. Customers order three or more items, and then can try on the items at home within seven days. Customers have the option of returning any items they do not want and they pay for the ones they keep. The service is available to Amazon Prime members.